Infinity Watchfaces Presents: Take Flight! 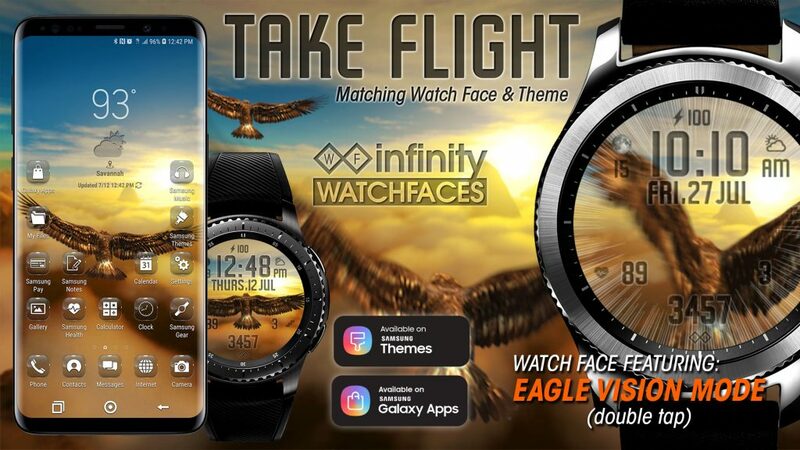 A dynamic watch face designed for the new Samsung Galaxy Watch and Gear S3, animated watch face featuring soaring eagles above clouds, flying into the sunset. Double tap the center to activate and toggle through EAGLE VISION MODE!